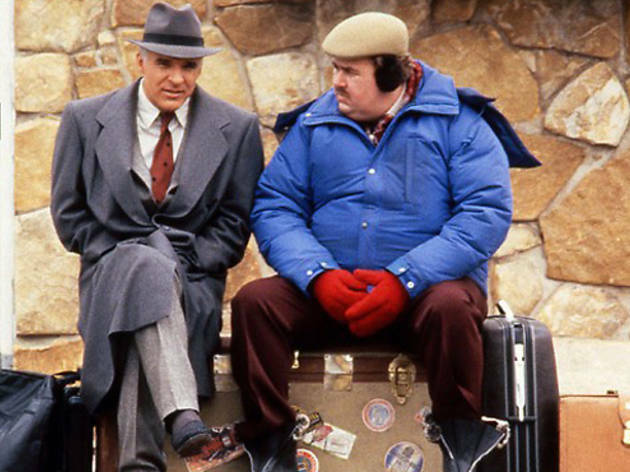 When their flight is grounded by snow, suave advertising exec Neal Page (Martin) finds himself stuck with travelling shower-curtain-ring salesman Del Griffith (Candy), the human equivalent of a Double Whopper. Griffith offers the benefit of his wide-ranging travel experience, and the pair set off overland on an odyssey of disasters. Sympathy, initially with the exec, shifts to the salesman, who is revealed as a vulnerable and lonely misfit, while his companion proves an intolerant bully and foul-tempered snob. A couple of overgrown brats seems an appropriate focus for John The Breakfast Club Hughes first adult movie, but if his direction is slick, his script lacks wit and perception. 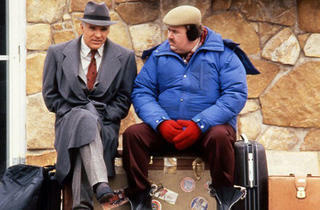 Essentially, it's the stars' keenly observed nuances of character that make this comedy amiable enough.